With the Spanish influence throughout Southern California, it’s no surprise that Mexican tile tends to be a popular choice for many individuals looking to add a fun flare to their home. You can find a variety of Mexican tiles here at Transworld Tile, that are sure to provide you with the beautiful results you desire. If you would like to enhance the beauty of your home with that southwestern touch, or you have a beautiful Spanish influenced home and are looking for an update, here are some fun locations to incorporate Mexican Tile with your home improvement projects. You may have considered using Mexican tile for your patio or maybe even as your bathroom floor tiles; both are excellent options for Mexican tile. But if you don’t want to give up the comfort of carpet, consider using Mexican tile flooring in your entry way. The colors used in Mexican tile create a warm and inviting look, while still being easy to clean whenever someone enters your home with dirty shoes. The kitchen is one of the best spaces to use Mexican tile, and any of the pavers that Transworld Tile offers would make for beautiful tile flooring. 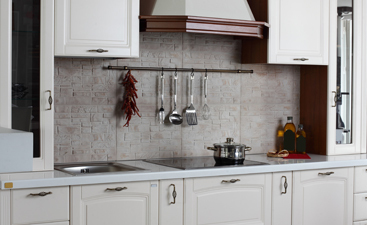 Additionally, the backsplash can be an excellent place to incorporate Mexican tile. 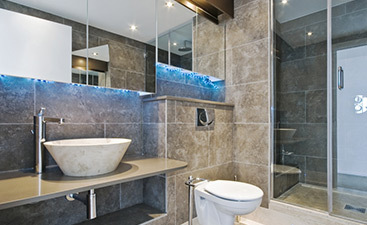 You can go all out, or mix it up with solid color tiles and designed tiles. You can even achieve a clean subway tile pattern, but then add a strip of liner tile to add a splash of color. 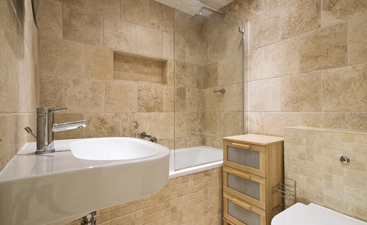 What better space to add Mexican tile than the bathroom. From the floor to the walls, there are plenty of opportunities to create beautiful accents. Perhaps try retiling your bath area with square white tile and strategically mixing in some beautiful Mexican tile designs. Come by our showroom at Transworld Tile for a full selection of our exquisite Mexican tile!